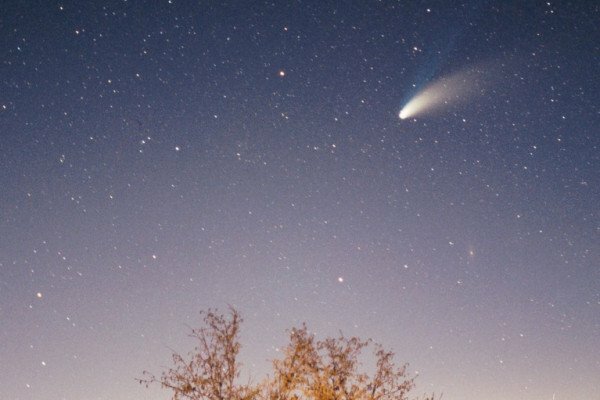 How long does it take for a comet to completely 'melt' away from repeated exposures to the sun? (Composition and size would certainly have something to do with it, I'm sure) Will there come a time when all the comets are gone from the Solar System because they have sublimated? Katrin - Comets are actually large clumps of ice and rock that were left over when the planets were formed. We can think of them as huge dirty snowballs orbiting the Sun. Being snowballs, this means that they can melt and they also actually do melt. Every time a comet passes close to the Sun, part of its sublimates, meaning that the snow and ice turn directly into vapour and this is the vapour that we can see as one of the tails of the comet. So, since part of the comet sublimates every time it passes the sun, it cannot live forever. For example, we have Haley's comet which is quite well-known since it passes the Sun once every 75 years or so, and this comet will be completely sublimated and disappear after only 10,000 years or about 100 rotations around the Sun. This is a typical lifetime for a comet. But still, this does actually not mean that there will come a day when all the comets are gone and that's because there are huge hidden supplies of comets waiting beyond the orbit of Neptune. That's the Kuiper belt and the Oort cloud. And these regions continuously replenish the inner Solar System with new comets. Previous Can we achieve artificial photosynthesis? Next Can I improve my navigation skills? What I need to find out is how does a comet's size affect how fast it melts?